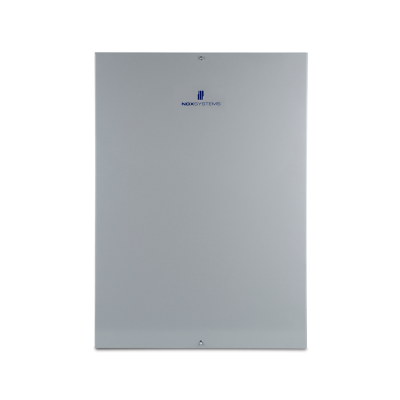 Through its networkability and expandability NOX LITE central unit is particularly well suited for larger SME’s, semi-detached houses or specialist businesses. NOX Lite can be used as NOX ONE is, as a slave in the Master/Slave network. For NOX SYS two licences can be obtained. Depending on requirements different system sizes can be implemented. 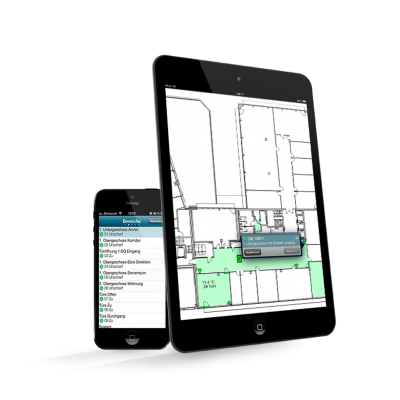 With the “Corporate” licence the system is particularly suitable for networked large facilities with up to 100,000 users and up to 4,000 areas. This system solution exists in class EN 50131 grade 2 and EN 50131 grade 3. 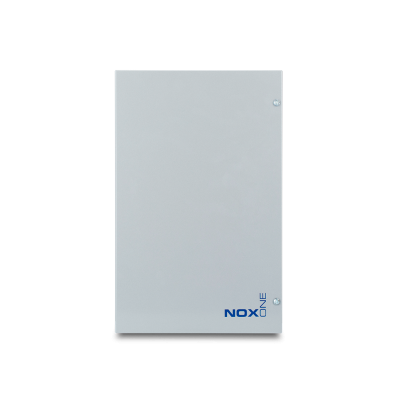 The flagship among the central units: The NOX XL system offers even greater performance. 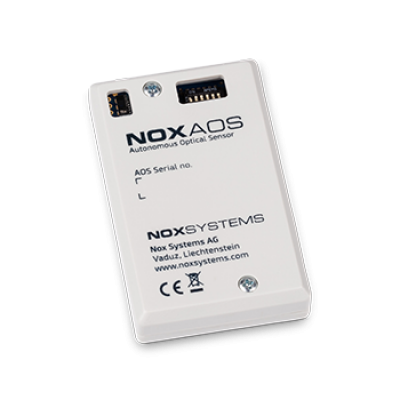 One of the performance characteristics of NOX SYS is that it already fulfils the standard EN 50130 grade 3 in the standard version and is currently filed for the VdS-C certification with VdS in Cologne. In emergency power operation situations an operating time of more than 60 hours is possible. 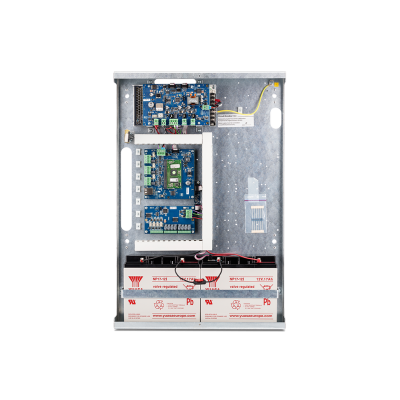 For this purpose, the housing offers space for two 40Ah lead-gel batteries. 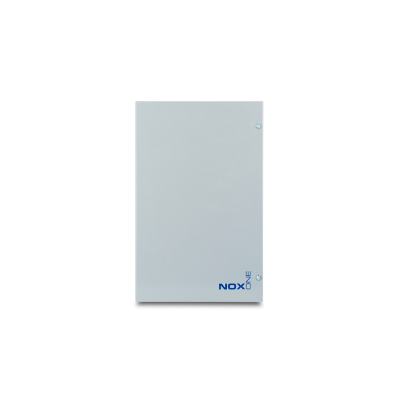 NOX XL is the perfect system for large sophisticated and certified facilities. 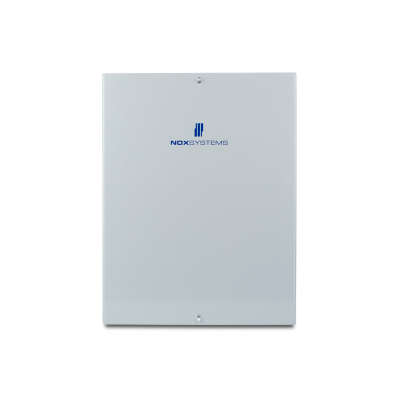 The fanless NOX TPA15 touch panel with XGA resolution can be used for complete control and monitoring of the entire security system. 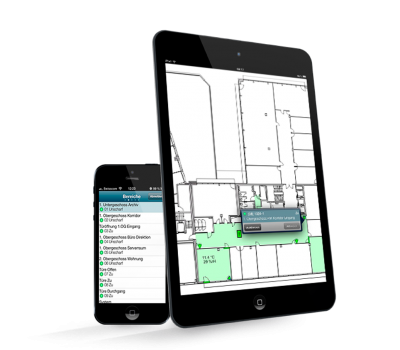 Integrated functions include the arming and disarming of areas directly on high-resolution building ground plans as well as the fade-in of live videos from IP cameras. 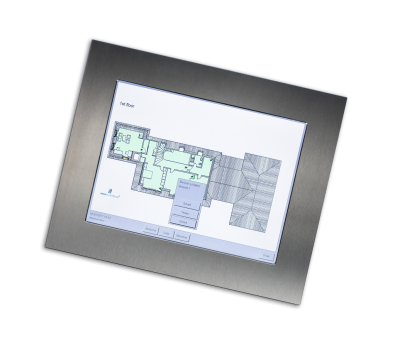 The touch panel is available in various colours. The clearly structured design of the NOX CPA operating unit can be integrated discretely into various architectural forms. 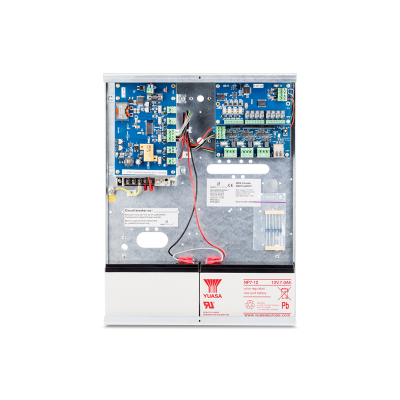 The intuitive menu navigation allows you to operate your system effortlessly. 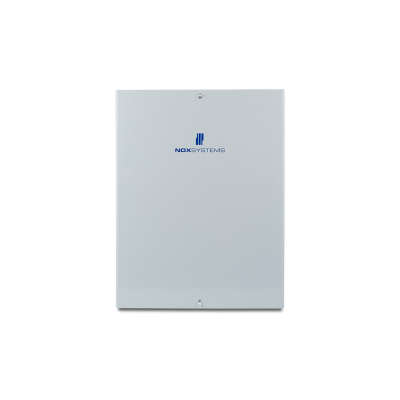 The white LCD display and the elegant operating panel as well as an integrated card reader for verification ensure operating comfort and convenience. 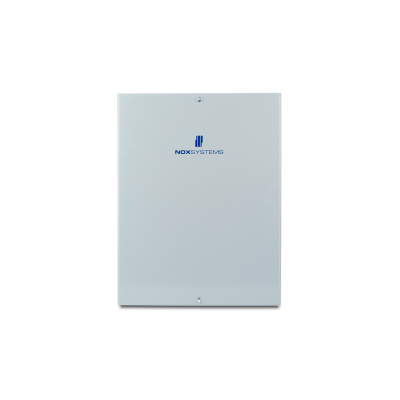 Available in surface-mounted or flush-mounted (in-wall) variants. 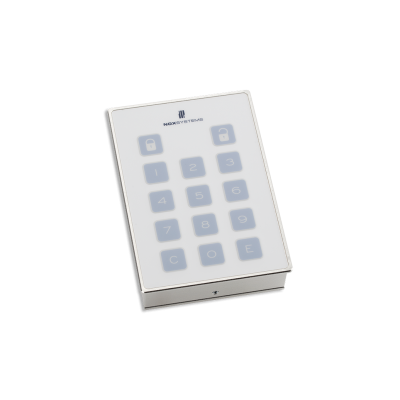 The robustly structured code keypad with illuminated keys can withstand rough treatment. 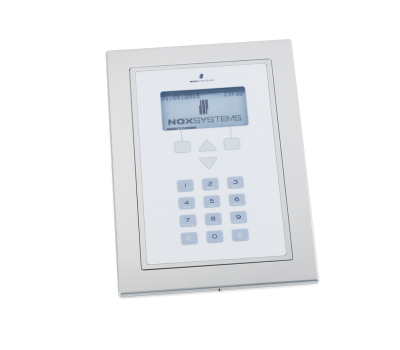 The keypad uses standard NOX symbols for visualisation: : Open the doors or close the areas. The state of your system is clearly visible through the use of symbols with coloured backgrounds. The casing is milled from high-grade aluminium. 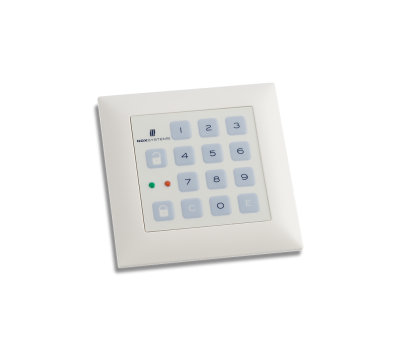 The code keypad is available in surface-mounted or flush-mounted (in-wall) variants. 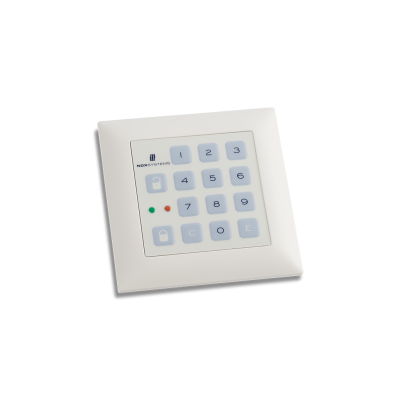 The keypad variant in the exclusive design of the Feller Edizio Due switch range. 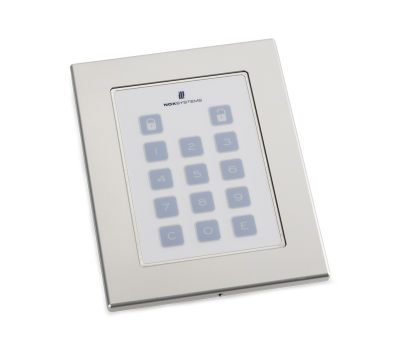 Inconspicuously and uniformly integrated into your in-house installation, the keypad offers the full functional scope of the NOX KPD. The state of your system is clearly and immediately conspicuous through two coloured LEDs. 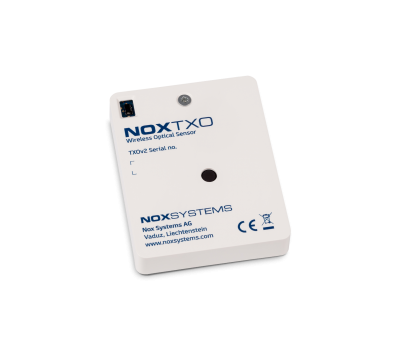 The optical NOX TXO wireless alarm is well-suited for the individual contactless safeguarding of pictures, paintings and other exhibits. 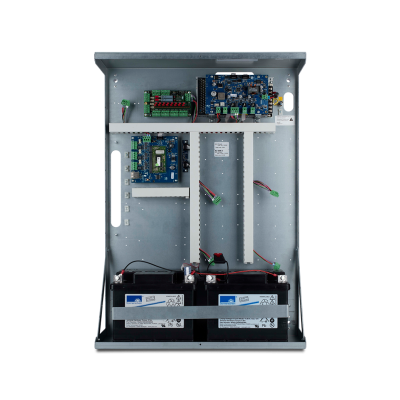 The electricity supply is ensured through two internal batteries, which, depending on use, make possible year-long maintenance-free operation. Monitoring is done through the NOX central unit, which correspondingly transmits the requested alarms . The compact casing allows for discrete use of the NOX TXO on smaller exhibits. When you want to protect paintings, or exhibits during a temporary art exhibition. Local, audible and visual alarms could be sufficient, especially when Security Staff are present. In this situation, our AOS is the perfect alarm system for you and your art exhibition. It is small, loud and absolutely reliable, and the battery life is outstanding (lasting up to 5 months depending on the application). Operate your system comfortably and conveniently on your smart phone. 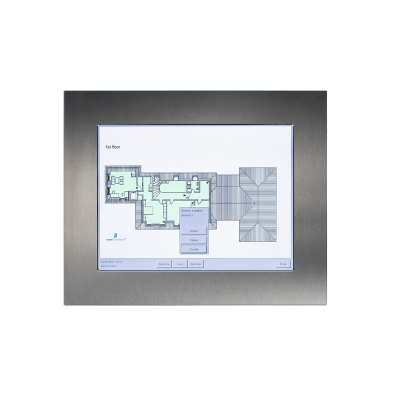 With the user-friendly interface all functions can be controlled regardless of their location. 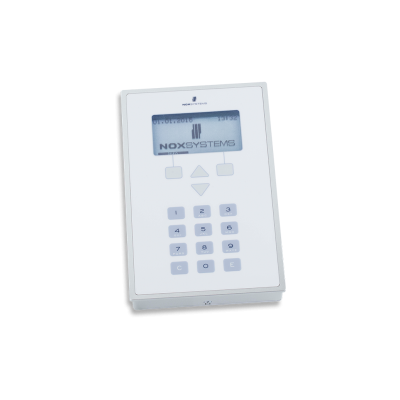 Open doors, check log-entries or switch areas comfortably, safely and independently. The NOX APP is available for iOS and Android. 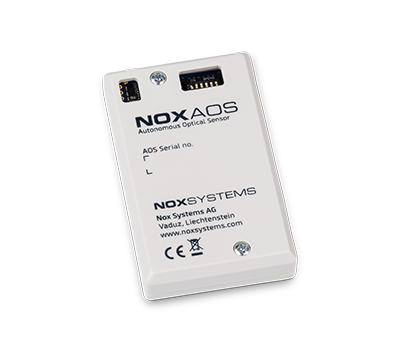 NOX components allow you to effortlessly implement even large and complex access systems. 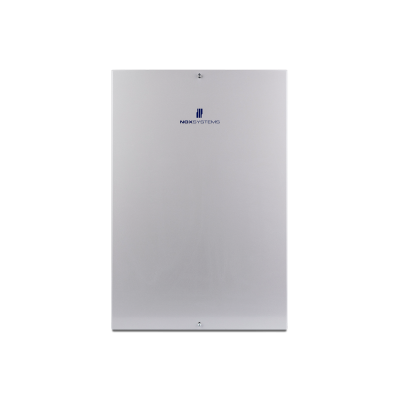 The system is suitable for large facilities with several locations just as much as it is for smaller office buildings or private homes. Access rights, times, areas etc. can be organised comfortably through the SIMS software. 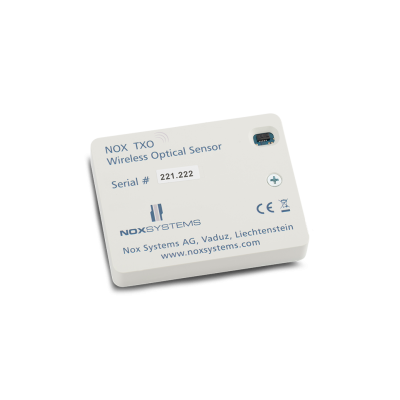 NOX supports the current Wiegand, OSDP, Mifare, Legic and other protocols. Biometric readers can also be evaluated. 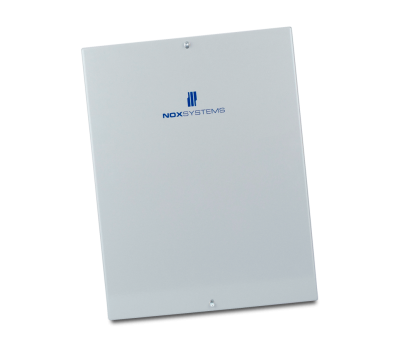 With this NOX access system you have a fully-fledged, integrated access control solution which is very simple to operate. 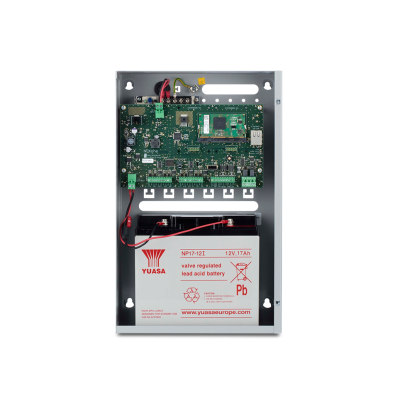 Combine the protection of valuables and access control in one system! With NOX you have an economic system with the highest security standards.